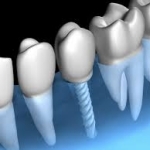 A dental implant is the substitution of the root of the tooth fixed in the jaw bone to replace a lost tooth; a crown is then placed over the implant. A screw made of titanium, zirconia or polymer, is inserted into the jaw bone (maxilla or mandible) to replace a missing tooth, or where the state of the root does not allow a crown or a pivot. A dental abutment is fastened to the screw and a crown is then placed over the abutment. 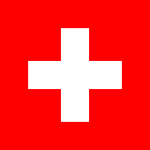 Implants used by SwissMedFlight partner clinics are of the highest quality. We offer Nobel Biocare and Alpha-Bio Tec. implants from the Swiss company Nobel Biocare, which are guaranteed for life. For optimal dental implants placement, our Hungarian dentists recommend you to meet the following conditions: no medical Contraindication for implant placement, maintenance of good oral hygiene, absence or reduction of tobacco consumption. To increase the success rate of dental implants placement, remediation can be accomplished before replacing the missing teeth. Finally, there is no indication against – age-related . Dental implants can can be placed at any age. The implantation of the screw into the jawbone is done 3 months after tooth extraction in order to allow time for healing. So you must wait 3 months after implantation of the prosthetic screws to fix the abutment and the crown of the new tooth onto the screw. It is possible to perform a bone graft or intra Sinus Lift when there is not enough bone in the jaw where the implant will be made. The procedure requires a healing period of 6 months prior to the implantation of the screw. Some dental offices do reduce the timeframe allocated to the healing process, which is nevertheless imperative to achieve optimal results. Our clinic specializes in dental implants in Budapest and respect medical ethics related to implantology. Our dental implants in Budapest are guaranteed for life and our dental crowns are guaranteed for 3 years. For more detailed information about prices of dental care in Hungary or for a free quote, please contact us by phone at +41.22.575.44.59, by Email info@swissmedflight.com or by filling or Contact Form.